The month of May marks National Be Kind to Animals Week. This tradition began a hundred years ago as a way for people to express their love for pets. It has evolved over time through the efforts of organizations and animal advocates working to expand our definition of what it means to be kind and to reflect on the millions of animals used for food and clothing or as research subjects or in exploitive industries. Which Comes First, Science or Ethics? After years of listening to defenders of animal experiments insist that they are essential to save human lives, I founded an organization to demonstrate how research using animals is not necessary. Citizens for Alternatives to Animal Research & Experimentation (CAARE), investigates and distributes information about the diversity of scientific methods that can be carried out without using animals. Typically these are superior because they are based on human biology, not animals. Therefore, it may surprise people to learn that CAARE’s philosophy is that ethics must supersede science regarding our decisions to use animals in experiments, and not the other way around. The pursuit of research methods to replace animals in experiments must be guided by a desire and ethical understanding that they should not be used in research. Often this is the case, whether it is overtly conceded or not. History is filled with examples of reflecting back on animal experiments that shouldn’t have been done. Had we put ethics first, the experiments would not have happened. Ethics invariably overrides science, but sadly, this typically happens after the fact. In November 1957 a small dog named Laika was launched into space on the Russian Sputnik 2. It was the first time a live animal would orbit the Earth in a space capsule, allegedly to determine if she could survive in space. But scientists knew from the start that Laika’s orbit would be a death mission because technology at the time did not allow for the capsule to return to Earth in one piece. Laika was a three-year-old stray dog, plucked from the streets of Moscow because it was believed that stray dogs were hardy, having already survived temperature extremes and deprivation. She was trained to sit quietly in a padded capsule in preparation for her space orbit. One of the scientists took her home to play with his children before her fatal space flight, so that she might enjoy some kindness in her brief, terrible life. For many years, Laika’s fate was unknown. Inevitably, the capsule was destroyed upon its return to Earth, but how long Laika had lived and under what circumstances she died remained a mystery. For a time the Soviet government reported that she had been euthanized with a pre-planned dose of poison in her food. 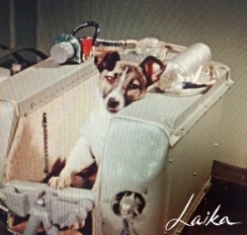 It wasn’t until 1999 that the actual details emerged about Laika’s fate showing that her vital signs stopped being transmitted between five and seven hours after the launch. Telemetry transmissions revealed that the cabin had become unbearably hot and Laika had died from heat and stress, much like a dog locked in car on a hot summer day. Looking back on this incident it’s hard to comprehend how anyone could have justified this experiment. It was known the capsule would be destroyed and she would die. The technology was not yet ready to contain a living being. Laika’s launch into space did nothing to accelerate the safety of human space travel. Years more research into space engineering was needed to design space capsules that wouldn’t burn up. Laika’s sacrifice was gratuitous and ill-conceived. Laika’s story may be a particularly glaring example of the arrogance, mindlessness and sheer evil of carrying out an imprudent experiment on an animal, but it’s not very different from thousands of other experiments that are carried out for scientific pursuits, to see what will happen, -- or just because – all under the guise of saving humankind. Animals are used in experiments to study pain that sever tender nerves; they are driven mad with itching in studies that seek to understand the science behind itching. Snake genes are inserted into mouse embryos to see the result: a mouse born without limbs. Animals are starved to see whether they will choose food or a drug, they are stressed to see what they can withstand, they are hung upside-down to induce a state of depression. They are deprived of sleep and deprived of oxygen to determine if these things are necessary for life and why. Their brains are opened to map neurology pathways because scientists may learn something new, and they are force fed drugs and chemicals and toxins in doses no human would encounter, all defended as saving human life, when clearly experiments like these and so many others will not. Fortunately, scientific thinking continues to evolve as society reflects on the failures that have resulted from animal testing. The past five years have seen the end of research on chimpanzees. While scientists and government concluded that chimpanzee research was not scientifically necessary, the decision was largely influenced by an evolving ethical awareness. The National Institutes of Health’s based its decision on a 2011 report from the Institute of Medicine, which determined that chimpanzees are not necessary for future medical research. One could argue it began prior to that with the decision to even create such a report, because the ethical issue was burgeoning. In its 190 page report, the Institute concluded that “while the chimpanzee has been a valuable animal model in past research, most current use of chimpanzees for biomedical research is unnecessary”. It’s significant that the Institute of Medicine didn’t actually conclude that research on chimpanzees was no longer necessary. The committee’s report identified a number of areas where they believed chimpanzee research could still be valuable, such as monoclonal antibody therapies and hepatitis C, but nevertheless concluded it was time to end their use in research. Even though it appeared to be a scientific determination, it was strongly influenced by the ethical consciousness of the times. By November of 2015, when NIH director Francis Collins announced that all chimpanzees would be retired from research, he declared “We have moved away from a time where we would consider chimps essential to medical research.” His statement, and choice of the word “consider” reflect a decision that was heavily guided by ethics. With centuries of failed animal experimentation behind us, accompanied by a growing awareness of animal sentience that is shaking up many areas of institutionalized animal exploitation, isn’t it time we concluded that using animals in experiments is too morally tenuous, too cruel, and too fraught with scientific uncertainty to justify its continuation? What if we put ethics first, as the European Union did in 2009 when it passed a ban to end the use of animals in cosmetics testing? Thousands of naysayers opposed the law at the time, insisting there was no way that we could assess safety without animal tests. Many acknowledged we were still heavily dependent on animal testing, so a phase-in period for the law was incorporated, with the final ban implemented in 2013. The result was a ban that sparked – perhaps forced – scientific innovation to develop areas other than animals, and came up with new and markedly superior ways to carry out tests. Ways that had applications for areas outside of just cosmetics tests and are now being used in biomedical science. Ending animal experiments does not equate to ending scientific advancement for human health and medicine. What it requires is asking and exploring – and perhaps requiring – how we can do things differently, something which is already happening due to fierce disappointment with animal research, and in response to those who demand that we care about animal suffering. 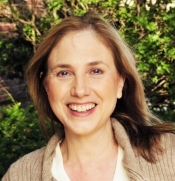 About the author: Guided by the desire to increase compassion for animals used in experiments, Barbara Stagno founded Citizens for Alternatives for Animal Research and Experiments (CAARE) in 2014. Before that, Barbara worked for more than 20 years for several national non-profit animal advocacy organizations, including PETA, the New England Anti-Vivisection Society, and In Defense of Animals. For much of that time, she functioned in a leadership role, coordinating numerous campaigns to protest animal abuse in corporate, university and government laboratories, including several that led to the termination of experiments. Barbara has devoted her life and work to achieve social change through giving animals a voice and advancing a more humane relationship between humans and nonhumans.